Not every commander in chief can say they approve of their successor. 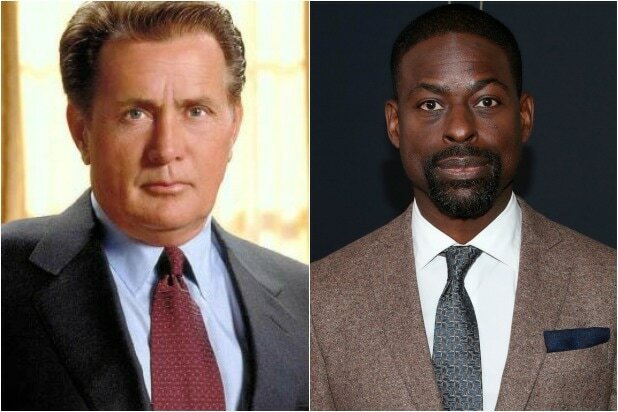 But if President Josiah “Jed” Bartlet’s ends up being played by Sterling K Brown? Well then, Martin Sheen tells TheWrap he would definitely endorse that candidate. Last fall, “The West Wing” creator Aaron Sorkin told The Hollywood Reporter his idea for a possible reboot of the series — for which he says he has a “standing offer” from NBC — saw the “This Is Us” star in the Oval Office and “some kind of jam” brings Sheen’s Bartlet in to advise Brown’s POTUS “in the way that Bill Clinton used to consult with Nixon.” Brown tweeted soon after that he would be “honored” to lead that project. And while Sheen isn’t familiar with the Emmy-winning actor, as he told TheWrap in February, he has full faith in Sorkin’s selection. While on the topic, Sheen gave us a little glimpse into the series that could have been, which he says would have given the country its first African American president years before Barack Obama was elected. And Sheen would have backed that plot too. Too bad that’s not the story Sorkin had prepped. So Sheen didn’t lose his leading gig to Poitier — or Jones. But the actor, whose political leanings are firmly on the liberal side, says has so much faith in Sorkin and his creative vision that he would have endorsed pretty much whatever the executive producer wanted to make of the original series, which ran from 1999 to 2006 — and anything he has in mind for a follow-up. “American Dynasties: The Kennedys” premieres March 11 at 9 p.m. on CNN.